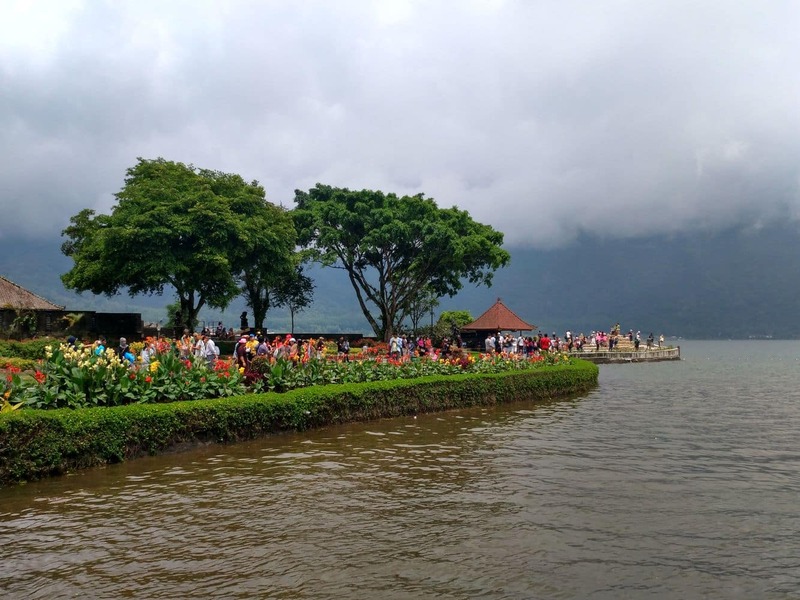 Ulun Danu Temple is a popular attraction located in the charming countryside of Candi Kuning. 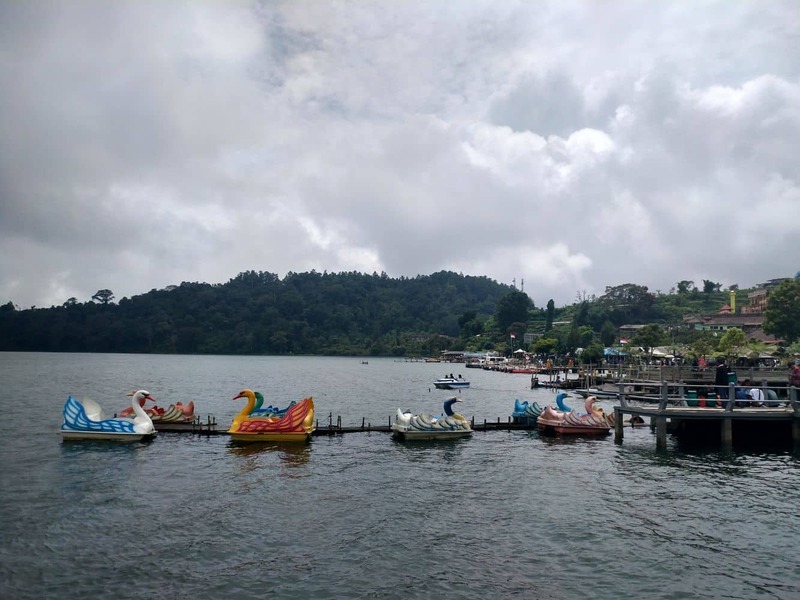 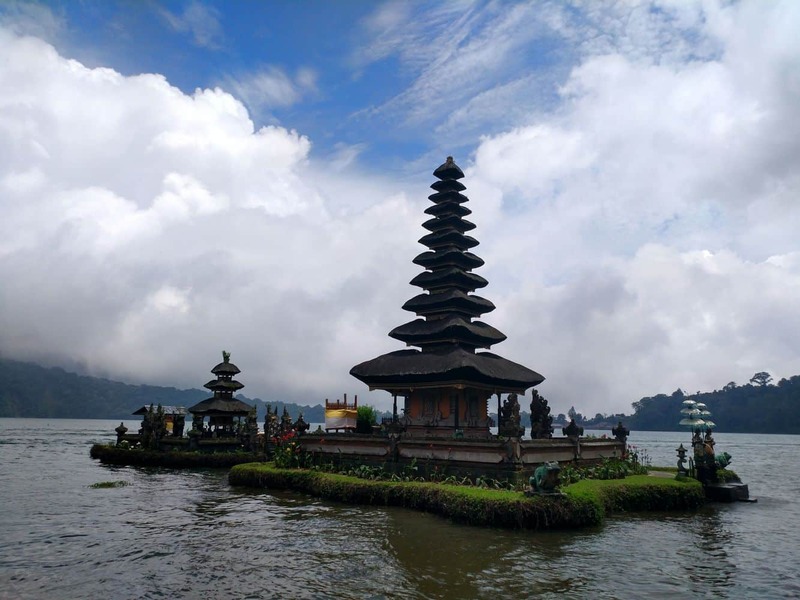 The temple is set on the shores of Lake Beratan which is located in the centre of the island. 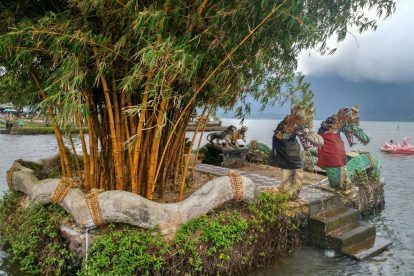 The stunning views of the placid lake and the rolling hills make the temple a breathtakingly beautiful destination. 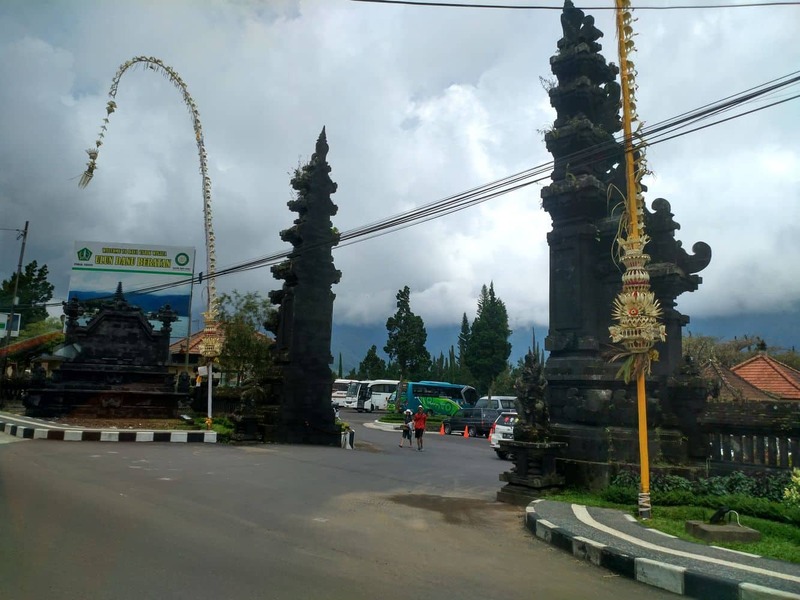 The temple is the second most significant temple in Bali after the Besakih Mother Temple and is revered by the local farmers and townspeople. 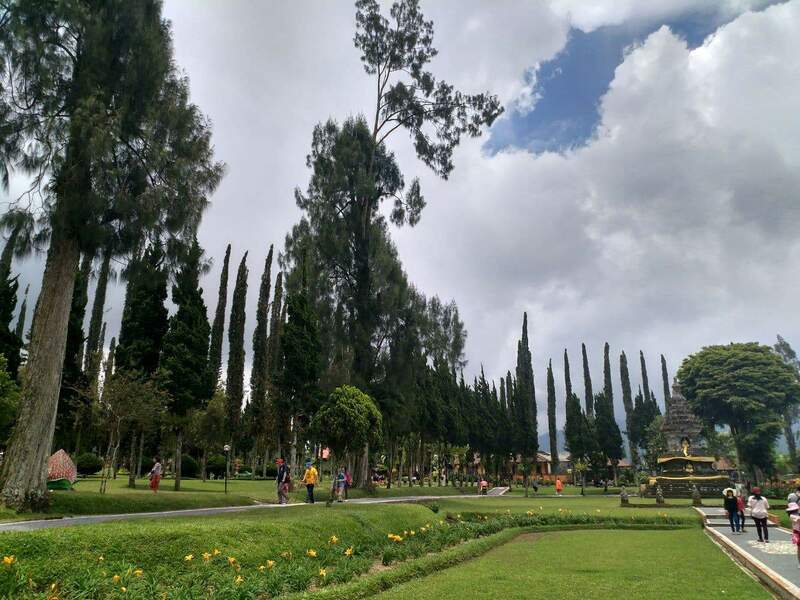 Its elevation offers great weather for the better part of the year, and the cool climate makes it easy to explore the surrounding areas comfortable during the heat of the day. 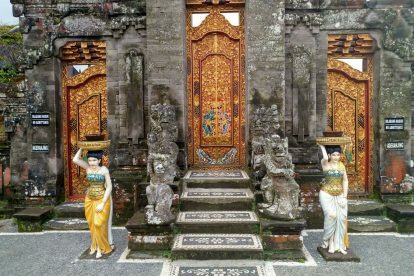 The history of this temple is drawn from information obtained on archeological artefacts identified in the chronicles of Mengwi. 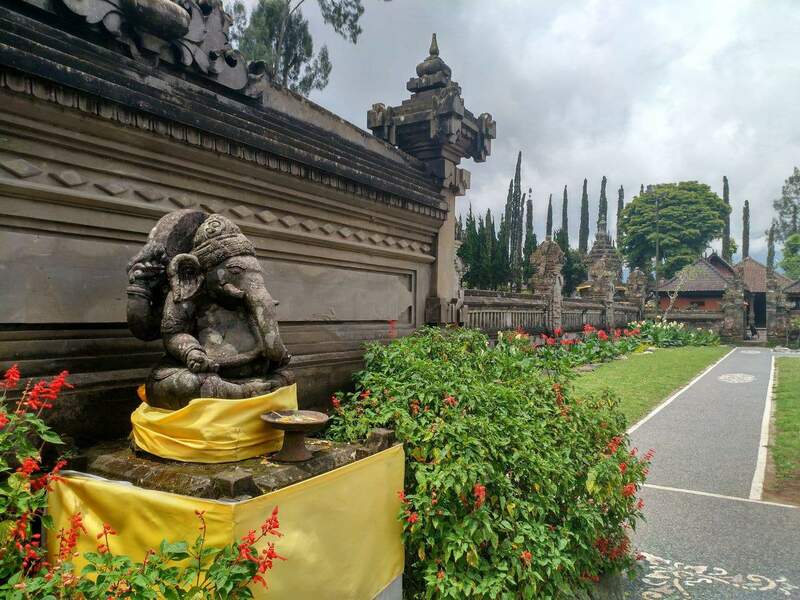 This information indicates that the temple has been around from 500BC, a fact that visitors can ascertain on arrival at the temple as historical artefacts are proudly displayed in the first courtyard. 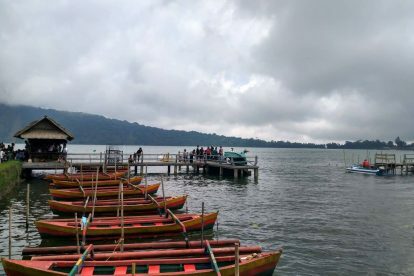 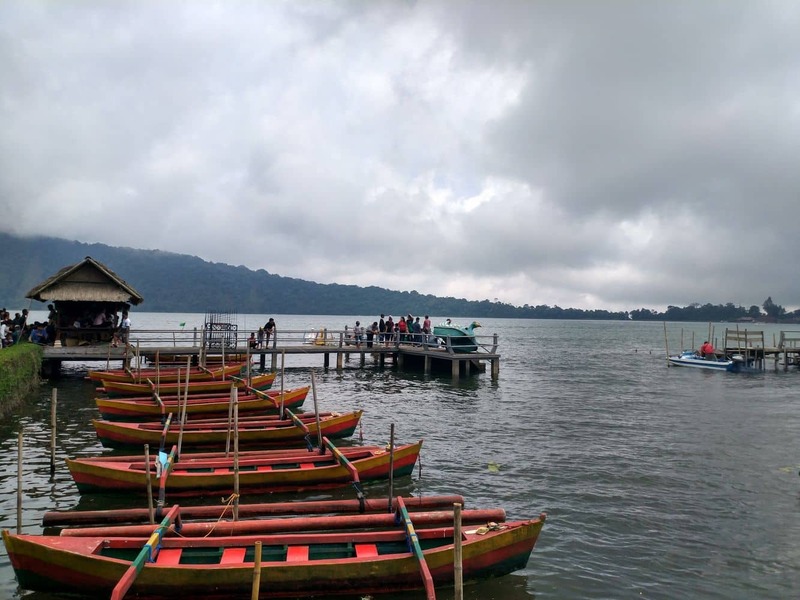 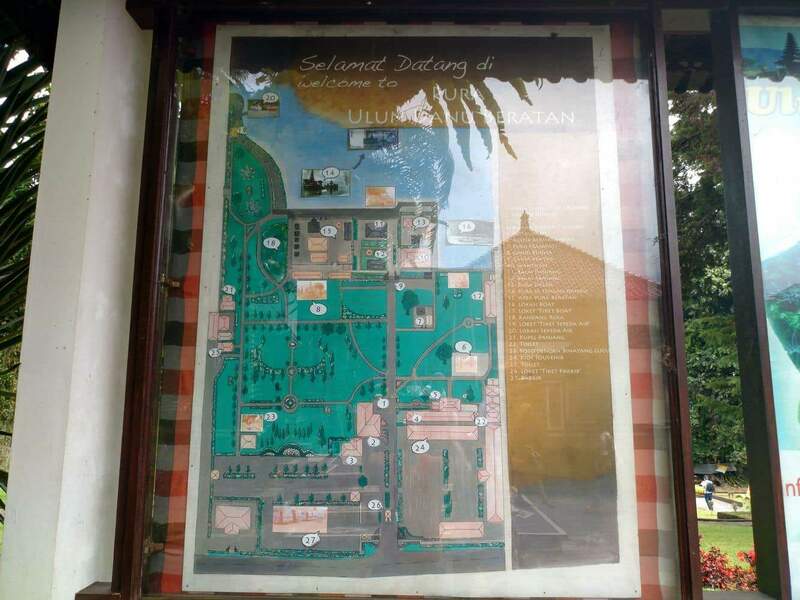 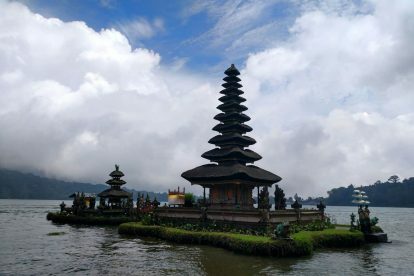 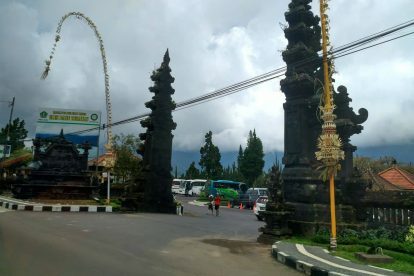 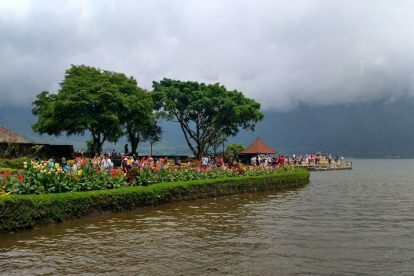 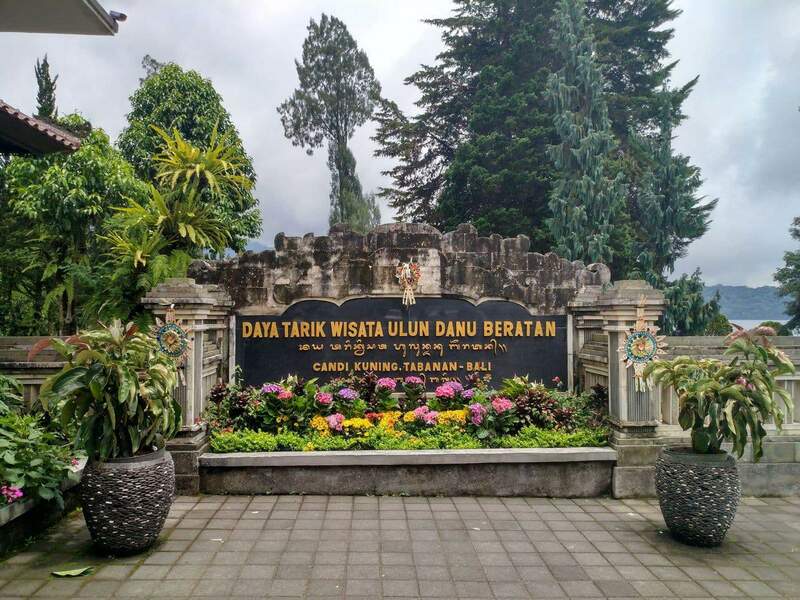 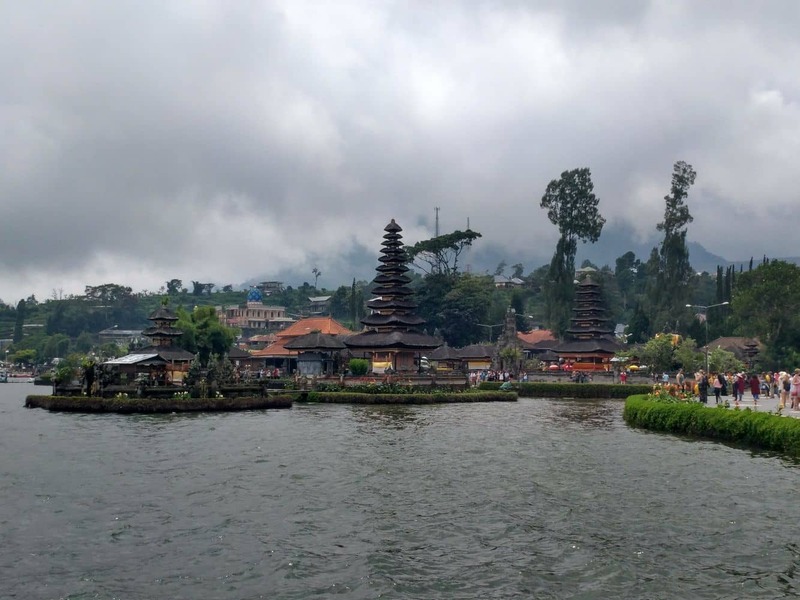 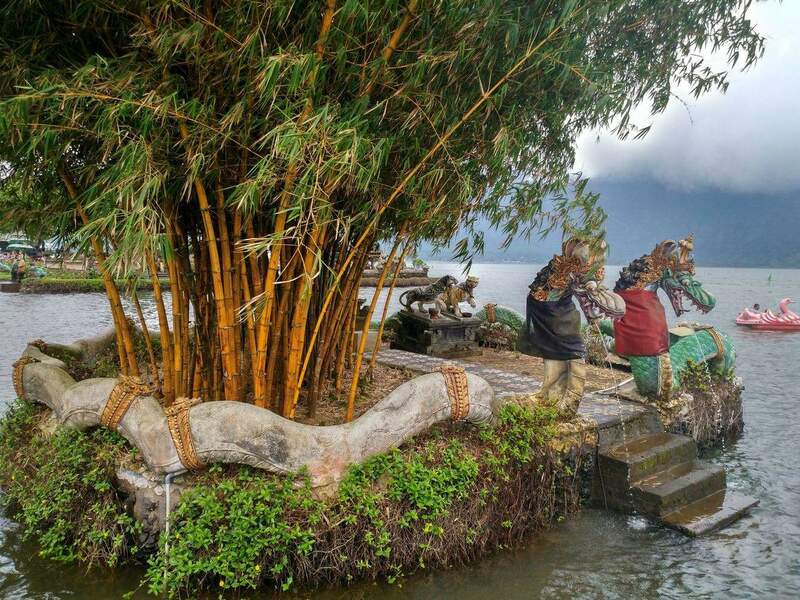 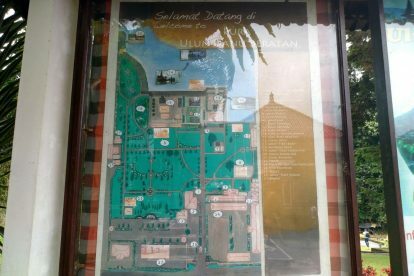 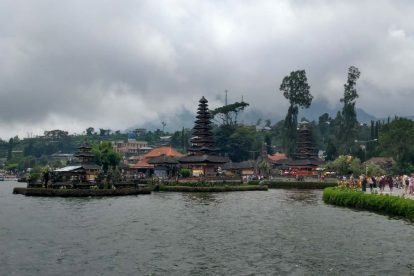 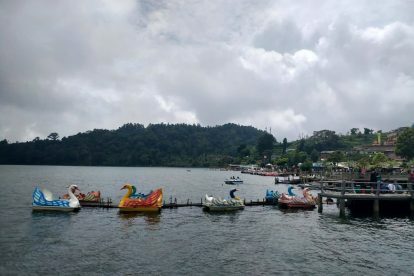 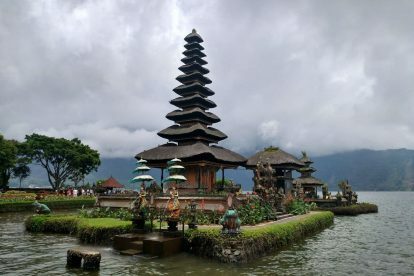 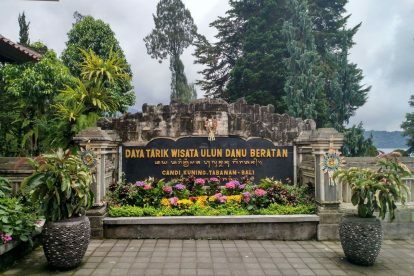 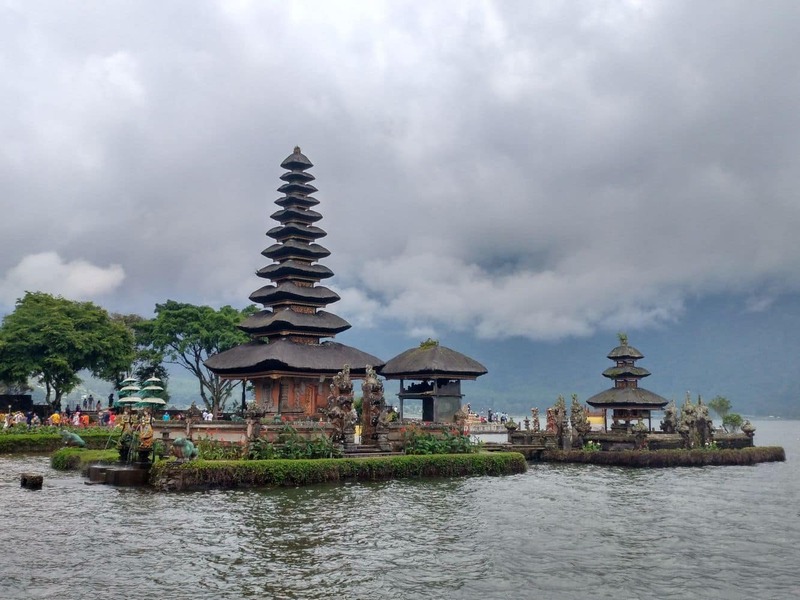 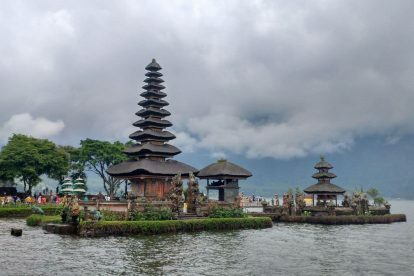 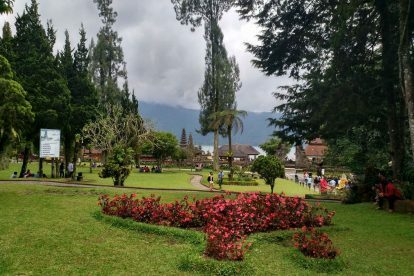 Ulun Danu Temple constitutes four distinct temples which include Dalem Purwa Temple, Terate Bang Temple, Lingga Petak Temple as well as Penataran Pucak Mangu Temple. 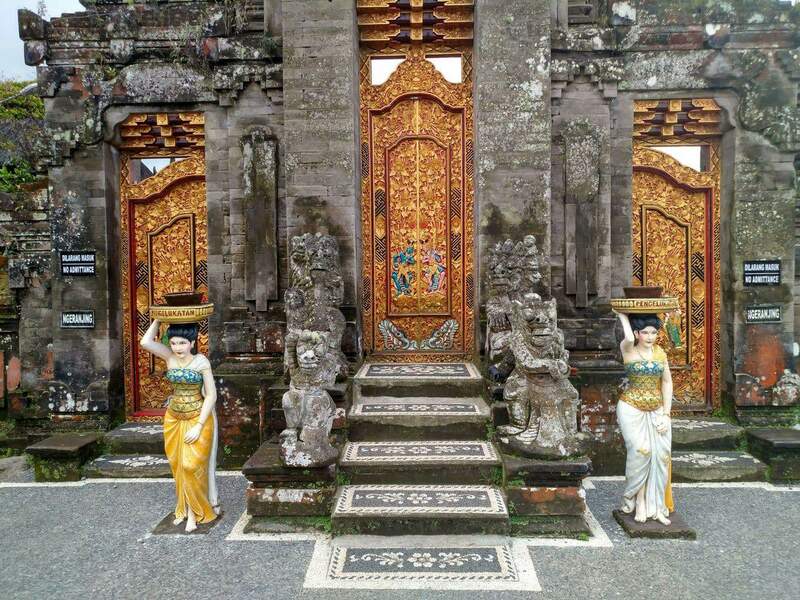 All these temples were constructed to honour the gods as well as to invoke fertility and prosperity on the region. 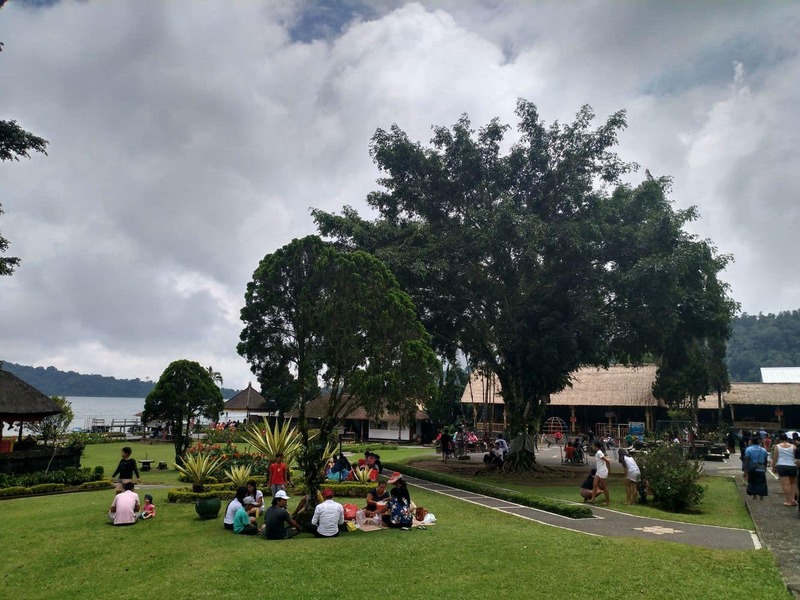 Thanks to its strategic location on the lake shore, the area has grown to be a thriving tourist region. 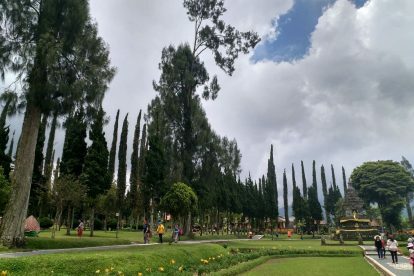 Nothing exemplifies this growth more that the increase in the number of hotels, plush villas and expansive recreational parks that have come up in recent years. 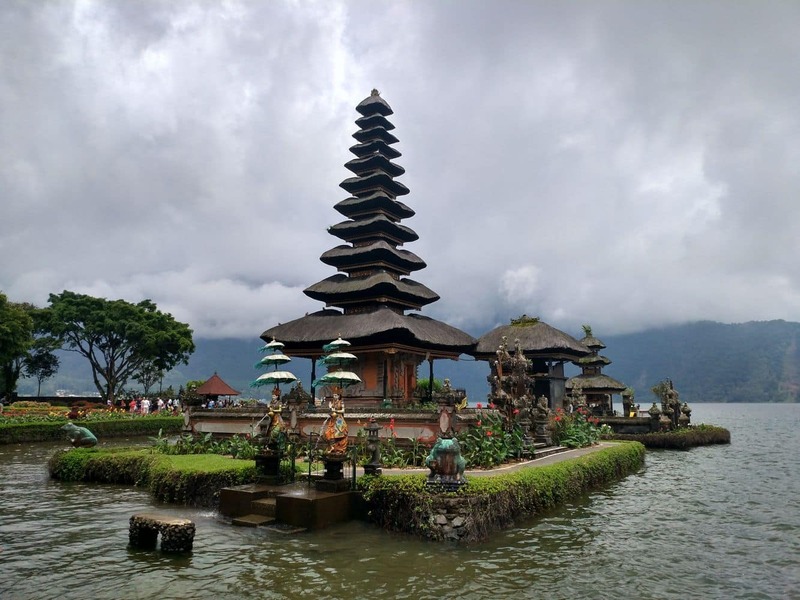 Ulun Danu Temple is perfect for a day’s visit as there are other attractions that you could tour once you have completed a tour of the temple. 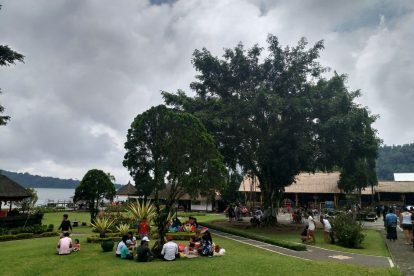 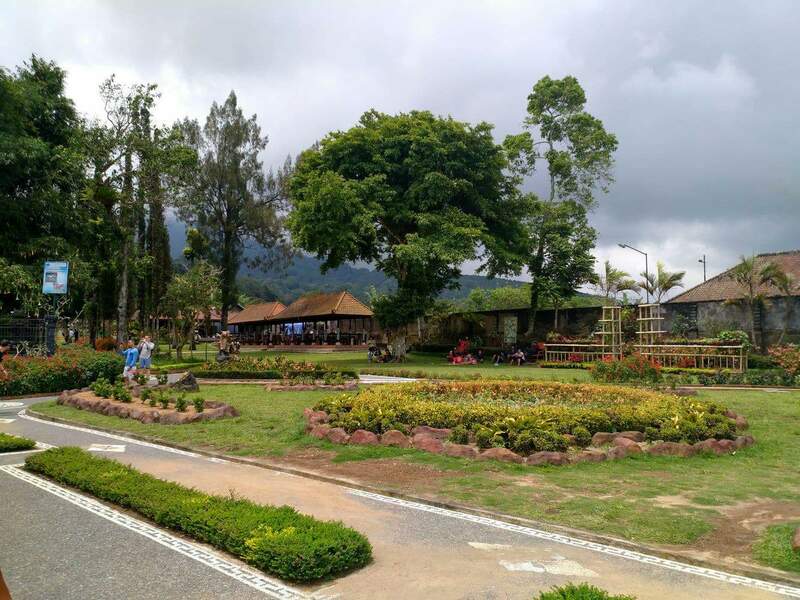 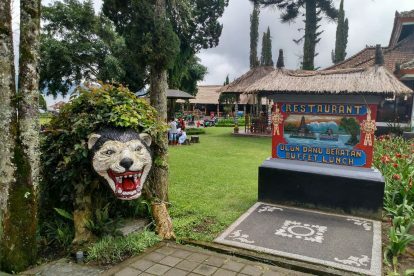 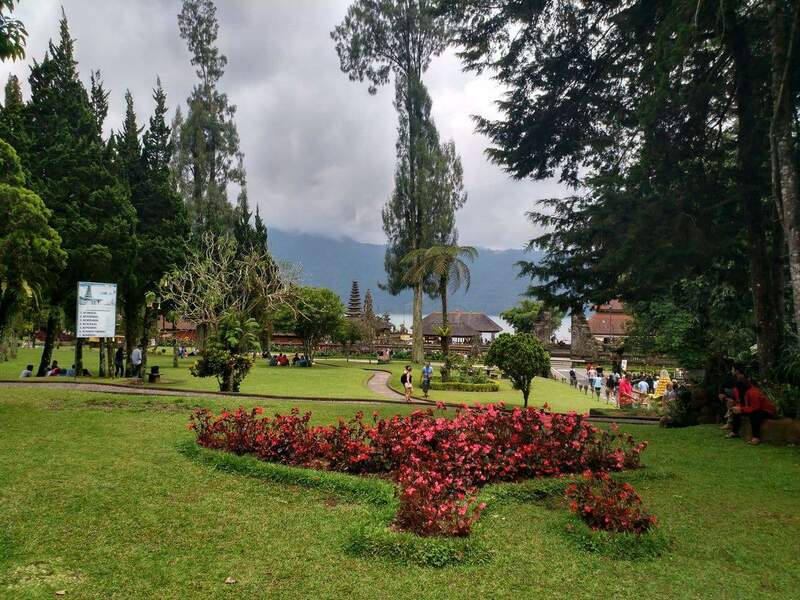 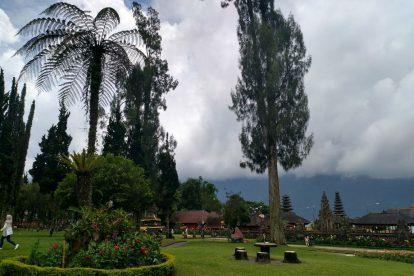 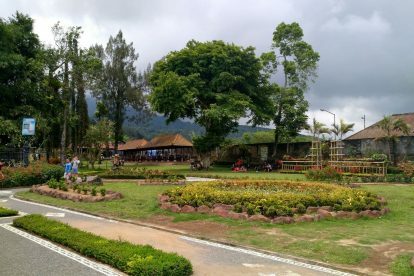 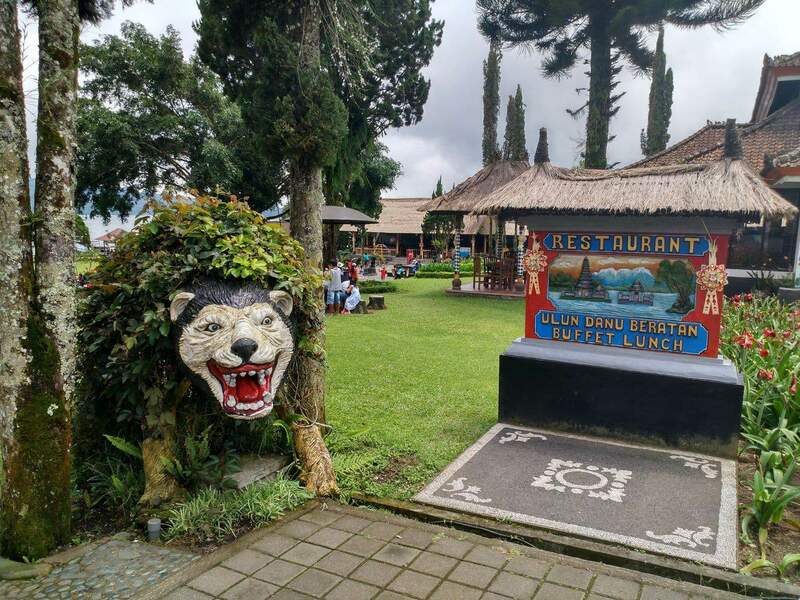 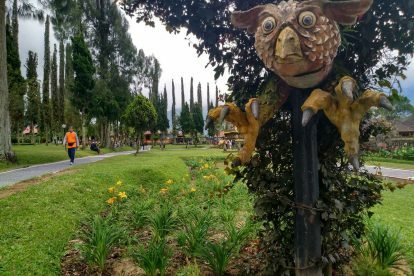 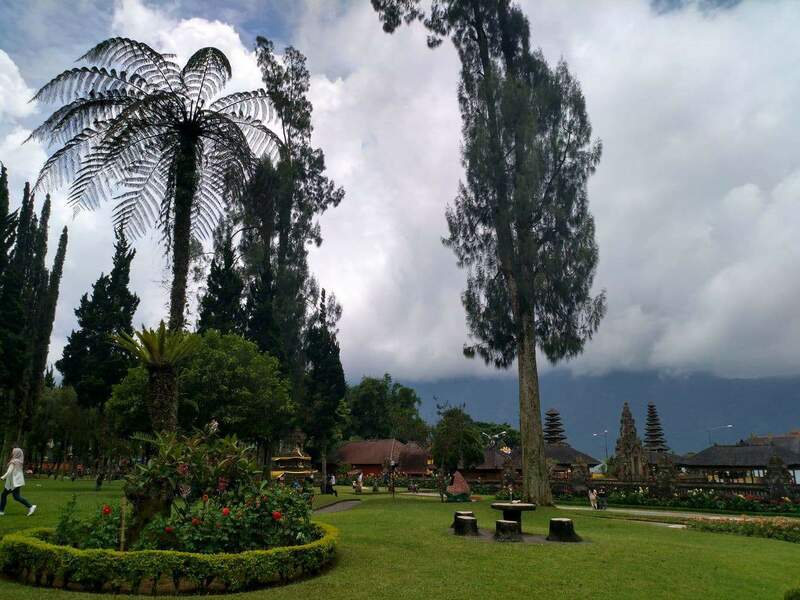 These include the market at Bedugul as well as the Bedugul botanical gardens. 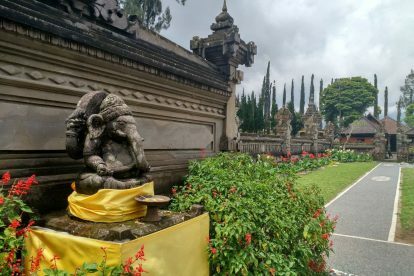 The temple costs 30,000 IDR to enter and just keep a couple of smaller notes with you, as there are toilet facilities on site, but they cost 2,000 IDR to use. 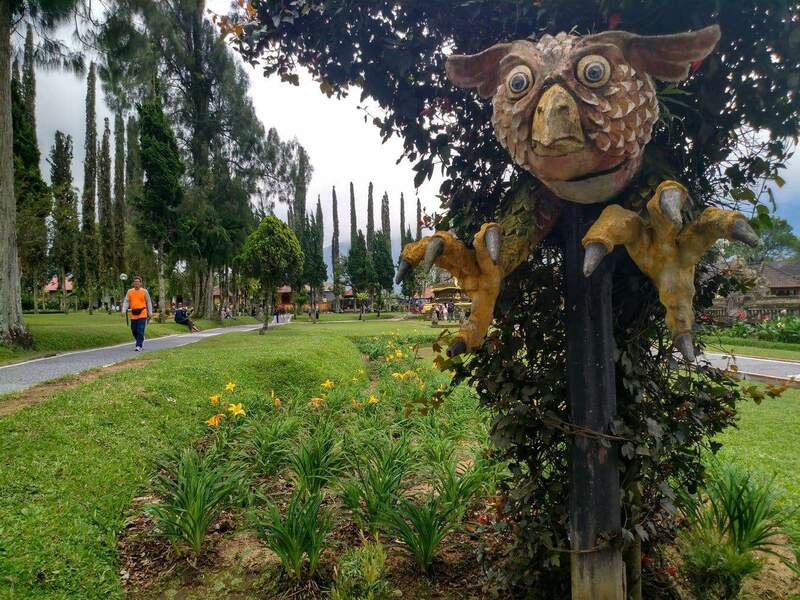 Ensure you cover your knees and shoulders before entering.